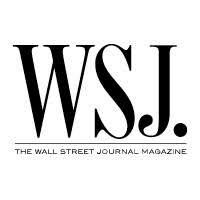 The Wall Street Journal, in an unusual move for such a bastion of capitalism, published an op-ed on September 18 calling for the abolishment of the immigrant investor (EB-5) program. The arguments presented by the authors, John Vecchione and Anne Weismann, are not new ones, citing widespread corruption in the program, as CIS has done for years. The fact that the Journal printed their views is the news. There is a happy air of bipartisanship in the affiliations of the two writers; Vecchione is CEO of the right-leaning Cause for Action Institute and Weismann is the Chief FOIA Counsel of the left-leaning Citizens for Responsibility and Ethics in Washington. To my knowledge, neither of these D.C.-based advocacy organizations plays a role in the immigration field. They cite the EB-5 roles of the Kushner family, of two Republican ex-governors (Haley Barbour of Mississippi and Bobby Jindal of Louisiana) and of two former Democratic office holders (Terry McAuliffe, ex-governor of Virginia, and Harry Reid, ex-senator from Nevada) in their denunciation of the program as a "bi-partisan source of corruption and cronyism". They also pointed out that "there is scant evidence the program produces economic benefits." Their article reminds us that the heart of the EB-5 program is, yet again, about to lose its legislative mandate on September 30. It is generally agreed that the same political forces that have preserved the program in the past will do so again using the usual political sleight-of-hand. That is the insertion in one of the "must-pass" spending bills of a provision extending the legislative authorization of the EB-5 program for the duration of the appropriations bill. It is likely that, yet again, there will be no votes on the extension on the floor of either house. The EB-5 program provides a family-sized set of green cards to aliens investing (usually) half a million dollars (and paying some other fees) in projects approved by, but not guaranteed by, the Department of Homeland Security. There is a 10,000-a-year upper limit on the number of visas issued by the program; because of its popularity with rich but worried Chinese, would-be users of the program from that nation are locked in a multi-year backlog.